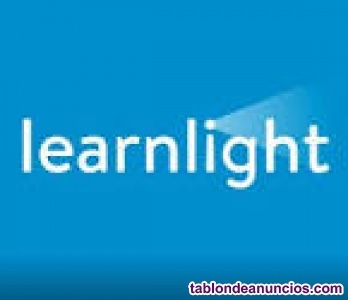 Learnlight, formerly known as training express, a leading provider of blended language and skills training, is currently searching for experienced english trainers in las palmas de gran canaria to deliver f2f in-company language classes. course i -start date: 8-apr-19 aprox. -duration: 5 weeks -schedule: monday & wednesday 13:15h-14:30h -location: avenida juan carlos i, las palmas de gran canaria -type of class: group course ii -start date: 8-apr-19 -duration: 5 weeks -schedule: tuesday & thursday 17:30h-18:45h -location: avenida juan carlos i, las palmas de gran canaria -type of class: group course iii -start date: 8-apr-19 -duration: 5 weeks -schedule: thursday 14:00h-15:00h -location: puerto de la luz, las palmas de gran canaria -type of class: group course iv -start date: 8-apr-19 -duration: 5 weeks -schedule: thursday 14:00h-15:00h -location: puerto de la luz, las palmas de gran canaria -type of class: group we require the following of our trainers: *to already reside in las palmas de gran canaria *to have c2 level of competency in english *to have 2 years of teaching e. Ofertas de empleo en tablondeanuncios.